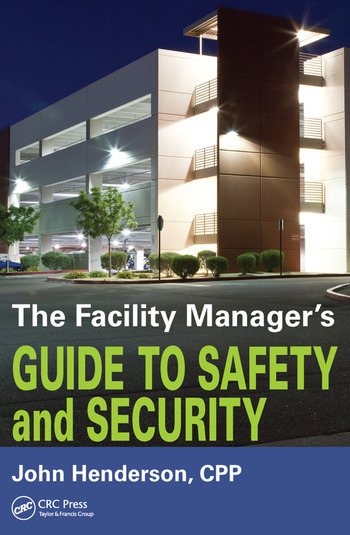 A guide for facility managers of varying types of facilities including, apartment buildings/complexes, office buildings, retail stores, educational facilities (schools), restaurants, and countless others. It will look specifically at the physical similarities inherent in all buildings/facilities and delve into the operational/maintenance needs, access control, audit proceedures and emergency procedure requirements. It provides procedures and policy direction in facilities that are lacking such formalized doctrine and gives a starting point to run their facilities in a consistent manner with a focus on safety and security, as well as keeping control of liability risk. John Henderson is a 28 year veteran of rank in a major Canadian Police Force and has had the rare opportunity to specialize in Human Resources and Policy Development as an Analyst and a manager, before becoming the long-time commander of a physical security unit at his police force’s General Headquarters. He took that opportunity to learn about 24/7 security operations such as access control, CCTV operations, alarm monitoring and response, incident/emergency response, Fire system operations and evacuation/event management. Managing a relatively new entity, he established much of the unit infrastructure including the composition of the Unit’s Security Post Orders and the Facility Directory. 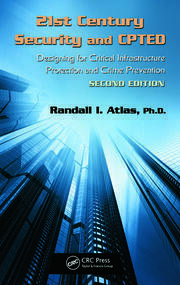 He further pioneered security assessment techniques in the post 9/11 era as he was assigned to assess 55 government facilities by selecting, training and leading assessment teams in evaluating everything from the homes and offices of VIPs, to educational complexes, fleet and parking garages, as well as major office buildings. John is a recipient of the federal Police Exemplary Service Medal. John has been a member of the American Society of Industrial Security (ASIS International) since 2002 and has attained the accreditation of "Certified Protection Professional" (CPP), recognizing his commitment to security management and successful completion of the program. John has served in the past with the Canadian Armed Forces Reserves as a Corporal and later a Commissioned Second Lieutenant in the Infantry, specifically with The Princess of Wales Own Regiment and Brockville Rifles. John’s education consists of a Bachelor of Arts degree from Carleton University in Ottawa, Ontario where he specialized in Sociology/Anthropology to access Police Science courses with the goal of becoming a Law Enforcement Officer. John is also a graduate of the Ontario Police College training system having completed Basic, Intermediate and Advanced Patrol training, as well as Police Supervisor and Police Leader programs.